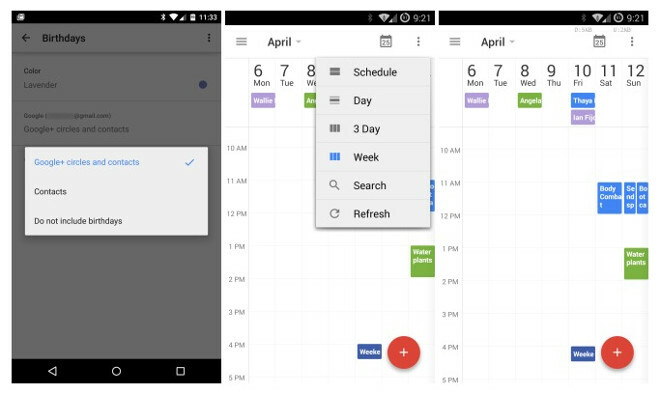 Today Google has started rolling out the latest update for its Calendar app for Android. Google Calendar 5.1 brings with it a 7-day view for phones. Additionally, you can now add Google Drive files to events, and Drive will even check if everyone who’s participating in an event can open them. These are the main new features, but there’s more stuff in this update. For example, you can now control whether birthdays from your Google+ contacts are shown on your calendar. This setting will arrive on the Web version of Google Calendar too, but next week. Moving on back to the Android app, you’ll find a new option to show week numbers in Settings, and you can now import .ics files that you receive via Gmail or other apps. As this is a staged rollout, the new version of Calendar may only show up as an update on your Android device in a few days. If you’re impatient, hit the Via link below for a direct APK download link.